Stories bring people together. Stories teach us. Stories comfort us. Stories challenge us. Stories inspire us. Our lives are literally made up of hundreds and thousands of stories. There are lots of stories from our faith and we tell over and over again. Some you may know by heart. But there are also dozens of stories that get overlooked, forgotten, or set aside. This summer we are going to turn back to some of those great but often unknown stories of faith! Over and over, our scriptures offer us glimpses of God meeting people in words and images, in visions and poetry, in dreams and revelations beyond our wildest imagining. There are many heroes of the faith, people we admire and wish to be. However, there are even more ordinary people of faith—those doing what they can with what they have to make a difference. We’ve selected 16 bold stories of those often overlooked in our biblical narratives. Using visual art and prompts for reflection, we hope to dig deep into the worlds of these characters, entering their stories with curiosity and openness to what they might teach us. Each week, we will offer reflections on a story, original artwork for prayer, meditation, and reflection, blog articles, and even coloring pages for the artist in you to enjoy at home! 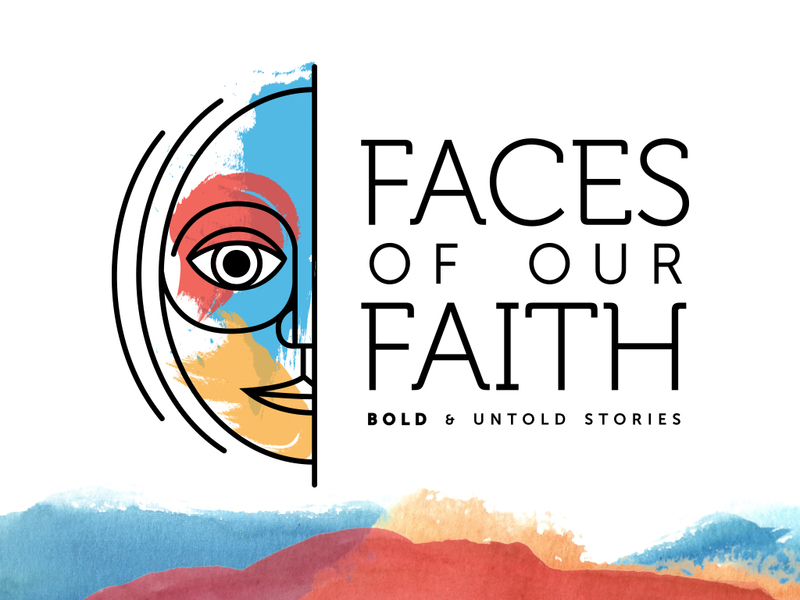 I can’t wait and I hope you will get excited as well as we deepen our spiritual lives through Face of Our Faith.